Daren Shiau Vee Lung is a writer, lawyer and environmentalist. He graduated from Raffles Institution in 1989 and went on to read Law in the National University of Singapore, eventually graduating on the Dean’s List in 1996. Having picked up literary writing in NUS, he won the NUS Literary Society writing competition in 1993/1994, and went on to win the 1998 Singapore Literature Prize Commendation Award for Heartland (Raffles), a Singaporean bildungsroman about alienation and belonging set in the vernacular, though highly ordered, landscape of public housing. 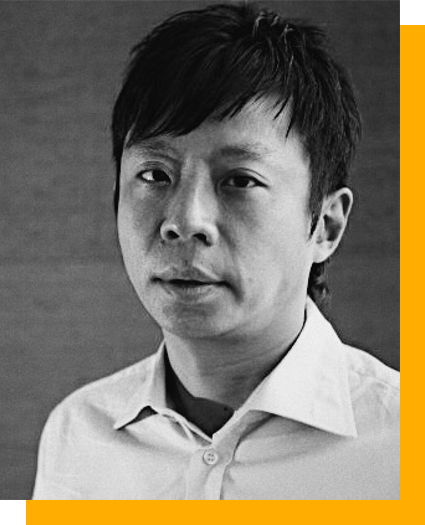 He is also associated with the “Class of ‘95”—a group of Singaporean writers who emerged in the mid- to late- 1990s, comprising Alvin Pang, Aaron Lee, Boey Kim Cheng, Felix Cheong, Yong Shu Hoong and Heng Siok Tian. Shiau put out his first poetry collection, Peninsular: Archipelagos and Other Islands(Ethos Books) in 2000. He was a recipient of the National Arts Council’s Young Artist Award in 2002, and published a collection of microfiction, Velouria (Firstfruits Publications), in 2007. Besides writing, Shiau has been a partner with law firm Allen & Gledhill since 2004, and has served as a Non-Governmental Advisor to the Government of Singapore since 2012. An ardent environmentalist, he has been on the National Parks Board and the Singapore Environment Council, and was involved in the International Union for Conservation of Nature’s Commission on Environmental Law. If there is any trace of nostalgia in Shiau’s steady enumeration of ethnically bound and maternal memories, it is quickly overridden by his enumeration of ‘official’ memories, specifically of colonial history. It is uncertain if the proper nouns (“tan kim seng, whampoa, pickering, Bencoolen”) gesture to actual figures in history, or to the places and physical monuments named after them. It is through such slippages in language that Shiau negotiates his commentary on national identity: that within any given vernacular—either of language or of architecture—there exists the possibility of its subversion through exposing the arbitrary relationship between sign and referent. In doing so, Shiau’s writing seems to suggest not only that national identity is contingent on space and time, but that it is also shaped by misrecognitions and slippages. In “Separation,” which in historical context carries the specific connotations of merger and Singapore’s subsequent independence in the 1960s, political narratives are evacuated to make way for larger metaphysical themes of presence and loss, physicality and temporality (“and what separates you from me is time”). A similar sort of deflection, which simultaneously makes use of the ambiguity of the image itself, is repeated in “The Haze,” where the speaker “wake[s] up to a celestial mist” and defers issues of transnational pollution to transcendental themes of cycles (“raindrops that / expired in thin air”) and traces (“leaving us their arcs of ash”). If there is any irony in Shiau’s poetic exposition, it can neither contain any trenchant critique of social and political issues nor deflate the drama of nationhood; we are left, however, with the vision of a complex reality that cannot but follow the contours of language. In Peninsular, however, Shiau expands his repertoire of images by including spaces of entertainment and consumption, which occupies a middle-ground between a critique and a celebration of late capitalist culture. In “Great World City,” which takes its title from the shopping mall as well as the superlative appellation, the speaker observes that “[i]t seems everyone has a Hard Rock Café tee-shirt” with the name of cities beneath the ubiquitous logo. or resignation in the raw. Because she arrived late at Shahila’s house, Mimi wasn’t introduced to everyone. Mimi settled at the dining room table where several conversations were ongoing. The tall guy at the end of the table gave Mimi a nice lingering smile. By the end of the piece we learn, together with Mimi, that the “tall guy” with the “lingering smile” is married with a son; her prospects (however minor) are immediately dashed. At the same time, we also learn about the characters that populate and give life to the landscapes that Shiau attempts to represent in both his poetry and fiction. By withholding elaborate description, and disclosing to the reader only the “lingering smile” to prompt imagination, the narrative unspools itself out of its textual confines, in the same way that rigidly organised ways of managing physical, social and political spaces cannot fully contain the daily dramas—of social anxieties, consumerism and romance—playing out within them. If in Peninsular swathes of history are assembled together with the expansiveness of geography—continents, peninsulas and islands—then Velouria represents an inward move, back into the heartland, so to speak. In his offering of macrocosms and microcosms, Shiau in both poetry and fiction captures, in compassionate and compelling detail, the idiosyncrasies of the elusive Singaporean ‘soul’. Ng Yi-Sheng. “Singapore: The City of Poets.” Quill Magazine. MPH January-March 2010. Shiau, Daren. Heartland. Singapore Literature Prize Commendation Award. Singapore: SNP Editions Pte Ltd, 1999. —. Heartland: a novel. Singapore: Ethos Books, 2002. —. Peninsula: Archipelagos and Other Islands. Singapore: Ethos Books, 2010. —. Velouria. Singapore: Firstfruits Publications, 2007. Thumboo, Edwin. “Time and Place: History and Geography in Daren Shiau’s Poetry.” Peninsula. By Daren Shiau. Singapore: Ethos Books, 2000.